This page will provide information on a number of circular walks / runs around Bridgnorth and routes are being added one at a time. Links are provided to maps on the Ordnance Survey mapping system. If you do not have an account they will be shown in the OS 'standard' mapping format. If you have an account you will be able to view the route on 1:25,000 and 1:50,000 scale mapping. 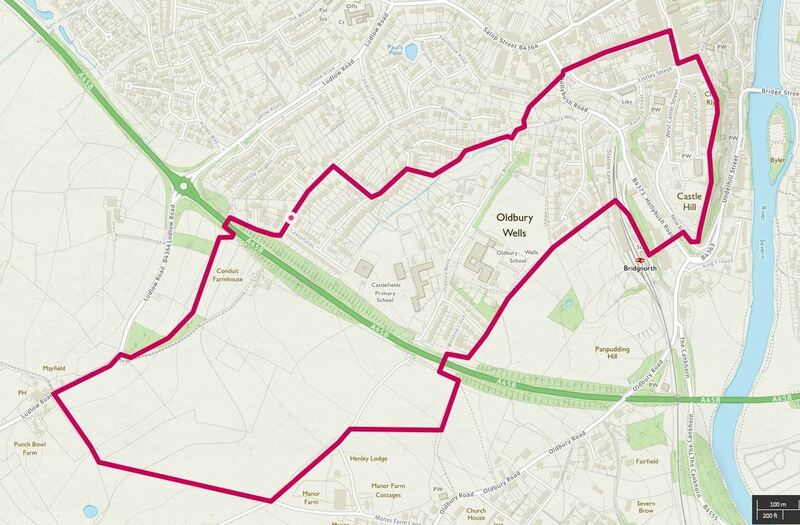 A 5km circular route to the south west of Bridgnorth, starting from the end of a land accessed from Oldbury. The walk loops out into countryside, via Westwood Farm, the Halfway House and Potseething, before returning to Oldbury. A 9km circular route to the south of Bridgnorth, along the river Severn, up through the woods behind Quatford to Stanmore Country Park, and back to Bridgnorth over the escarpment, with great views over the town. A 5km circular route through Bridgnorth, looping into the countryside, visiting the Severn Valley Railway and taking in the views from around the castle gardens and High Town.